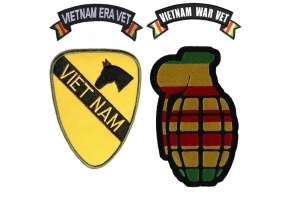 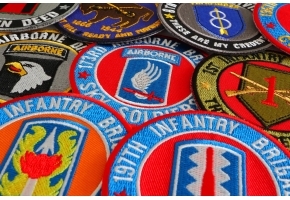 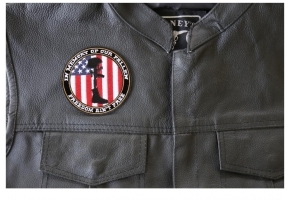 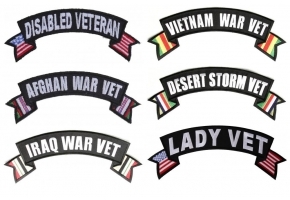 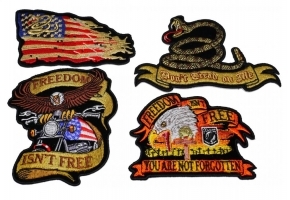 This is an iron on embroidered patch which you can also sew on for all Vietnam Veterans who have been through the hell in the 60s and 70s. 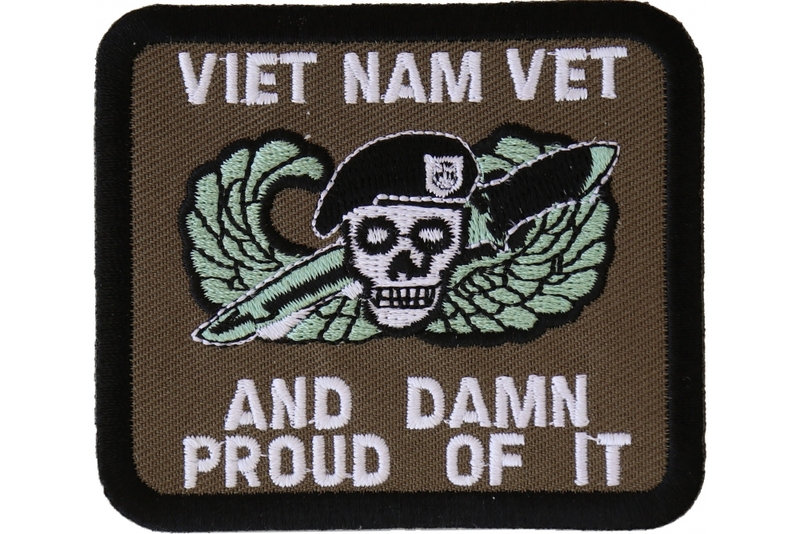 Embroidered phrase says "Vietnam Vet And Damn Proud Of It". 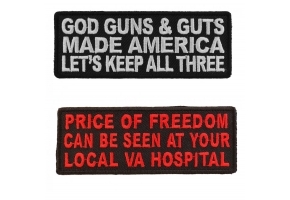 The measures 3x2.5 inches. 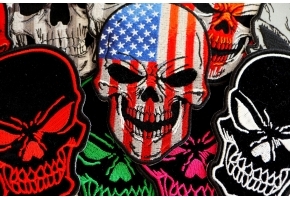 Embroidered over army green fabric with black borders, features a barrett skull.